Often thought of as a thrifty choice, turnips are all too often overlooked in favour of the more common carrot or plentiful parsnip. 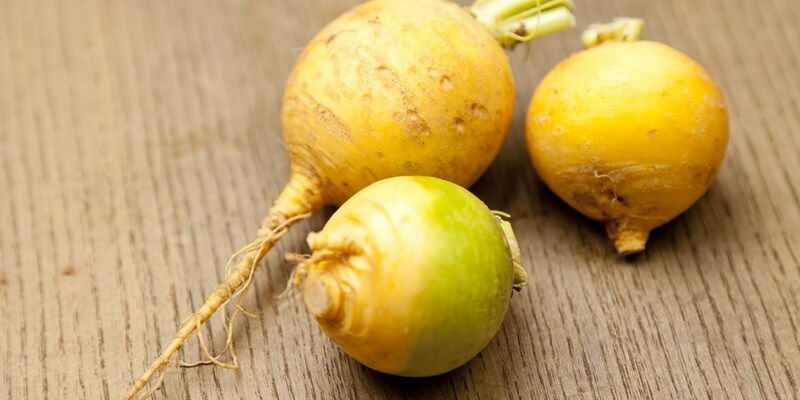 However, the desire of chefs to rediscover their culinary roots has led to a reconsideration of the humble turnip, with many varieties being lauded for their sweet and distinctive flavour. They pair beautifully with rich meaty flavours, as Matt Gillan demonstrates in his duck recipe, matching the meat with Port-glazed turnips, turnip purée and pickle. Turnips are also famously at home in comforting Winter dishes. Lamb navarin is one such classic stew, the word navarin itself is thought to be derived for the French for turnip: ‘navet’. At the other end of the culinary spectrum, Matthew Tomkinson pairs buttery turnip slices with asparagus and peas in a much more sprightly sea trout recipe, proving this most down to earth of vegetables is just as comfortable with the seaside.